The whole week in August is full of holidays in Anguilla. Constitution Day is one of them. This holiday has no fixed date. However, the day of its celebration is appointed annually to mark the closure of the Carnival. 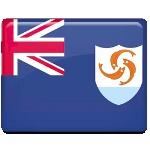 Anguilla has a status of parliamentary dependency under constitutional monarchy. It means, that issues in Anguilla are administered under the Anguilla Constitution, that took effect on April 1, 1982. The British monarch is represented by a local governor, who is responsible for external affairs, internal security, defense, public service, judiciary and audit. The major event of Constitution Day in Anguilla is Grand Parade of Troupes. The troupes from villages all over the island come together to participate in a colorful and spectacular parade. They go through the streets in national costumes, that represent unique cultural and fantasy themes. This parade is the climax of the Carnival and this day is much anticipated by locals and visitors. The Parade is considered to be a perfect family event, that begins in the afternoon and end in the evening.